a dandypunk is a character from the fictional universe of his own creation. The last of the great 19th century chimney sweeps and a member of the Imagineers in Exile collective. Growing up bboying, freerunning and doing graffiti on the rooftops of Victorian London he later taught himself the art of light alchemy from a book he found on the royal park bench. A dandypunk spends most of his time in a half waking, half sleeping state where he is constantly bombarded with visions of creatures, lands, and characters from alternate dimensions. 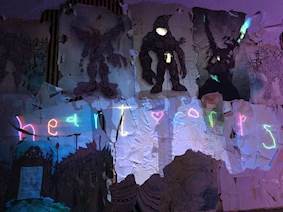 Challenge: Multimedia performance artist and Director of art and movement, A dandypunk, needed a number of bright and powerful projectors that would work in a limited space to showcase his live, immersive experience - Heartcorps: Riders of the Storyboard, at Sundance Frontier 2017. An absolute must of the specification was that the audience and performers could get as close to the projectors surface as possible, without creating shadows. Solution: Six Optoma W319UST projectors were chosen. The W319UST is bright, boasting 3,330 ANSI lumens, and a throw ratio of 0.27:1 means that it can project a 100” image from less than 0.5m away. Ultra-short throw projectors mean that they can be installed so close to the screen that they avoid any shadows being cast across the screen from the presenter(s). Multimedia performance artist and Director of art and movement, A dandypunk, needed a number of bright and powerful projectors that would work in a limited space to showcase his live, immersive experience - Heartcorps: Riders of the Storyboard, at Sundance Frontier 2017. An absolute must of the specification was that the audience and performers could get as close to the projectors surface as possible, without creating shadows. A dandypunk (real name Joel Sebastian), is a performer from New York, who likes to play with light in a very new and exciting way. By combining elaborate light installations with performance art, he creates a unique visual experience. 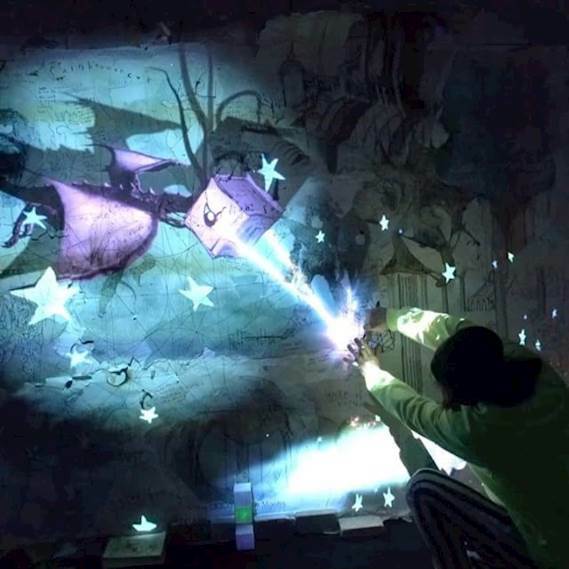 Projection-mapping technologies and hand-drawn illustrations are further enhanced by the live performance of the actors. Six Optoma W319UST projectors were chosen. The W319UST is bright, boasting 3,330 ANSI lumens, and a throw ratio of 0.27:1 means that it can project a 100” image from less than 0.5m away. Ultra-short throw projectors mean that they can be installed so close to the screen that they avoid any shadows being cast across the screen from the presenter(s). It also provides a complete package for engaging viewers with many new features, including two HDMI inputs, powered USB port, powerful 16W built-in speaker, improved lamp life, compact chassis and a completely new mounting system for a fast and simple set-up. 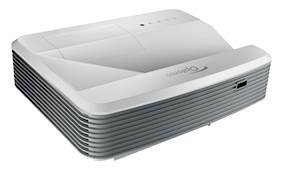 As well as this, the projector includes a ‘high altitude mode’, meaning that the fans can be made to run faster to allow more air flow through the projector in order to keep it cool. The six projectors were mounted in custom made projector cages and hung from an overhead truss. 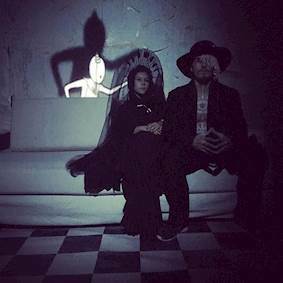 A dandypunk said: “We had limited space and it was important that the audience and performers could get as close to the projection surface as possible without creating shadows.